Well, I didn’t have a ton of reading time last week, but I did manage to complete a book. I had been picking away at Final Ride for a couple weeks now, but was finally able to find a good chunk of time to sit down and finish it. I enjoyed this one quite a bit and will be posting a full review of it around April. I once again watched quite a few things over the course of the week. On the PVR I watched Homestead Rescue, My 600LB Life and Family By The Ton. Then I worked through more of our DVD collection and saw The Over The Hill Gang, The Over The Hill Gang Rides Again, The Decoy, Death Rides A Horse, The Gun And The Pulpit, and Excalibur. Finally, the last thing I watched last week was Star Wars: The Last Jedi, since it finally came into the theatre in town and we really wanted to see it again. This was another, running around like a chicken with it’s head cut off kind of week. I have really been in the groove of cleaning and decluttering our house and the week was no exception to that. I had thought about taking it easy this week and only doing one room, but then once I started I just couldn’t stop. So, I managed to tackle the hall closet downstairs, which I thought would be a quick and easy thing, but once I started I realized how much junk was in there, so that consumed several hours. I spent a while day going through all our home canned goods, making an inventory list so we know what we have an how much of it. I also took all the empty jars and stored them. Next was the entry way. While this area didn’t look too bad on initial glance, I was shocked at how much stuff was there. We had a few bins of outdoor stuff, like hats, mitts and scarves, and after emptying them out, the pile was enormous. By the time I was done going through it all, we managed to fit what we wanted to keep in a single bin. Then I decided to tackle the downstairs bathroom, which acted more as a storage room than a bathroom. In doing this, I also worked on the laundry room, since they are side by side. This little double project took a day and a half to complete but the difference is amazing. I also did a giant donation run since I would say easily 80% of the stuff that I found in the laundry room was set there for donations. So now I once again have my laundry room back and the downstairs bathroom is nearly empty as well. While I was doing this on the weekend, the boy was busy going through his playroom and bedroom, making sure if was tidied up and that there weren’t any toys in there that he didn’t want anymore. He did find a small container worth of toys to get rid of, so that was awesome. I somehow managed to find time on the weekend to also do a bit of baking. I made some oatmeal raisin muffins, some granola cereal and chopped up a bunch of veggies for the coming week. It’s not quite what I wanted to get done baking wise, but is good enough. 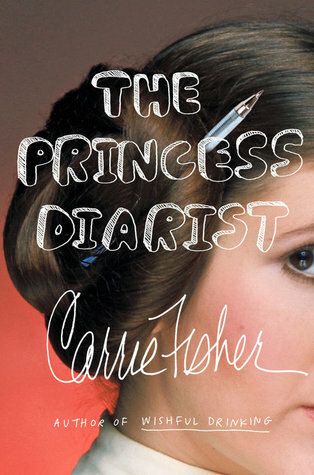 I started reading The Princess Diarist on the weekend but didn’t get too far into it. My plan is to finish it this week and with luck be able to start, and perhaps even finish, another book as well. I will be keeping up with the three shows I watch weekly off of the PVR, I would watch them when they air, but they all come on pretty late at night, so I tend to watch them the next day. I also have a stack of movies picked out that I am going to try to get through over the course of this month, with hopes of getting through at least a couple this week. The house decluttering project will continue. This week I plan to tackle the second half of the kitchen, which includes doing an inventory of our bought canned and boxed foods, as well as a freezer inventory. The next area I will likely tackle after that is one of both of the bedrooms, I know the boy went through his last week, but I want to make sure there is nothing in the closet and cupboard in there that need to go as well. Awesome on the decluttering. I really, really need to do the same. Thanks. It’s a major project but I’m so glad I started it. I would definitely recommend doing it, you will be surprised by what you find around your home when you do. Start small and work your way through it all, you’ll be done in no time. Your decluttering project makes me want to go through some rooms and do the same thing. Come see my week here. Happy reading! Go for it. It is well worth the time and energy it takes, and if you’re like me, you will get almost addicted to doing it and be done in no time. It’s made a huge difference already and I cannot wait to see the finished product. Sometimes it’s okay to take a break from unpacking. As long as the important stuff is unpacked, then the rest can happen a bit later. It sounds like you’ve been busy. You can come organize my house if you want. 🙂 Have a great week! I have been very busy. Ha ha, I don’t know if I would want to tackle a second house…though if the pay was right I would do it.